Tawingo Day Camp runs for seven, five-day sessions, starting in mid-July and finishing at the end of August. Programs run from 9:00am to 4:45pm each day and include a healthy lunch and snacks. Supervised transportation to and from camp is available. Tawingo Day Camp is open to boys and girls ages 6 to 12 years old. Children who are 5 years old and entering Grade One in the fall may also apply. Our Day Camp has the full use of all our oustanding facilities including our waterfront, boating program, Sports Field & Equipment, amazing Craft and Nature programs, and hiking trails. Tawingo Day Camp will create lasting memories of golden summer days. Though the campers may not even be aware of it, it's about more than just fun. We provide a wonderful, safe environment where campers can challenge themselves to learn new skills and try new things surrounded by supportive staff. Our day campers enjoy all that nature has to offer while learning about wildlife in Muskoka. Campers will have lots of opportunities to get as dirty as they like playing with frogs and salamanders and enjoying outdoor adventures. Day Camp campers are assigned to a cabin group at the beginning of their session. Each cabin consists of 7 - 9 campers, of the same gender, within 1-2 years of each other. Each cabin will have the same counsellor for the whole week. Parents will receive a cabin photo and a letter from the counsellor sharing the highlights of their camper's week at Camp Tawingo Day Camp. The Day Camp Staff receive the same extensive training as our overnight Camp Counsellors and are chosen for their leadership skills, enthusiasm and proven abilities to work with children. Our Day Camp counsellors have grown up attending Camp Tawingo. Our Day Camp is an excellent way for campers to try out camp before advancing to a full overnight camp experience. It's also an ideal place for anyone just looking for a traditional summer Day Camp experience. The philosophy that has driven our Overnight Camp for over fifty years is just as prevalent at our Day Camp. 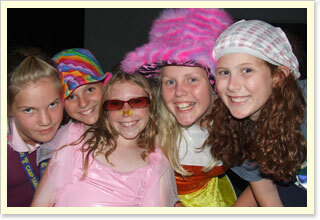 Camp Tawingo is committed to providing our campers with the experience of a lifetime. 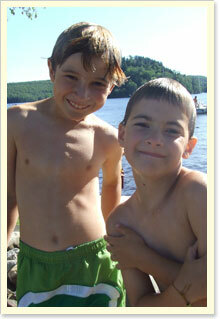 Our work and play are guided, are driven by a camper-centeredness philosophy. Every decision, action, policy, and program at Tawingo has as its focus the camper – the camper’s comfort, growth, experience, and development. To this we are also committed. At Tawingo, we believe that the goal of Camp is to learn to appreciate and live in harmony with the out-of-doors, and one another…and that this learning happens best in a setting that is an oasis of safe and wholesome free play for children, an oasis free of cell phones, iPods, and other gadgets. Parents tell us that the Tawingo experience their children describe reminds them of the days when they used to be able to play outside, with all the other neighbourhood children, until the street lights came on. Ensuring campers feel comfortable in the camp setting, with their cabin-mates and our staff. Providing leadership that is suited uniquely & specifically to each camper. Ensuring that every camper experiences respect, care and support. Campers are encouraged to take responsibility, to make decisions, and to exercise initiative through positive interaction. Every opportunity is provided for self-expression and self-discovery. These skills, especially the increased confidence, result in children doing better in school and extra-curricular activities. Our campers have the ability to work and play independently as well as in a group. To ensure the happiness of our campers by making the camping experience fun. To give our campers a sense of responsibility by encouraging them to do things for themselves and others. To teach cooperation while playing, working, and planning with others. To provide inspiration with values from nature itself. To give our campers the experience of adventure in the out-of-doors. To create a healthy atmosphere with a balanced diet and wholesome outdoor activities. To build self-confidence through acquiring new skills, accomplishments and insights. To teach good citizenship in an environment of democratic living. To take personal interest in our campers, to give ample opportunity for self-expression in a well-balanced, varied program. To instill awareness and appreciation for the natural environment.
" My 9-year old daughter just completed a one-week session at camp and loved it. She was very hesitant to attend summer camp, but on the way home in the car she said it was the best summer ever! "